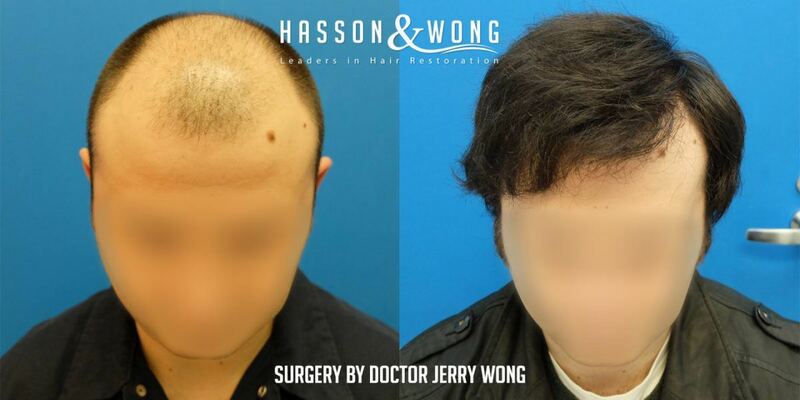 Hasson & Wong FUE hair transplant result. Case details provided by and posted on behalf of Hasson & Wong. 15 months post op results. 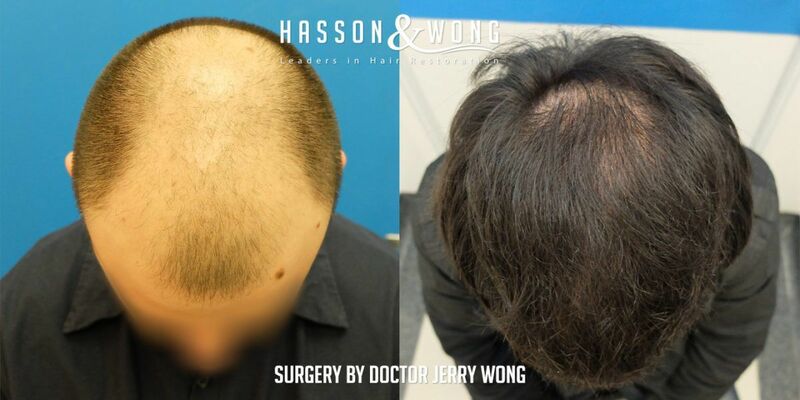 The amazing hair restoration transformations that Hasson & Wong are famous for can now be delivered using FUE hair transplant technique as well. FUE stands for follicular unit extraction. It is less invasive than traditional strip procedures. Relatively fast healing time and does not leave a linear scar across the back of the patient’s head. Below is a Norwood class 6 patient before and after results. 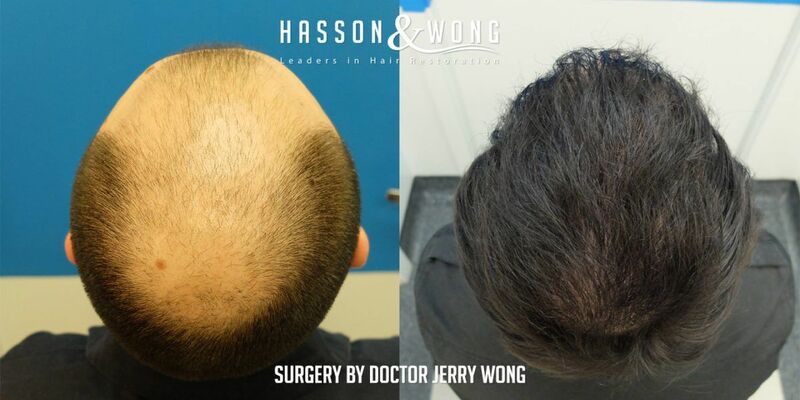 The patient’s expectations create a challenge for Dr. Wong as this patient desires maximum coverage both on the front and the top. In order to cover such a large area, artistic skills, graft placement and graft yield become critical. Every donor graft is crucial and Dr. Wong needed to deliver a near flawless execution in order to ensure the best possible grafts survival rate for this patient. 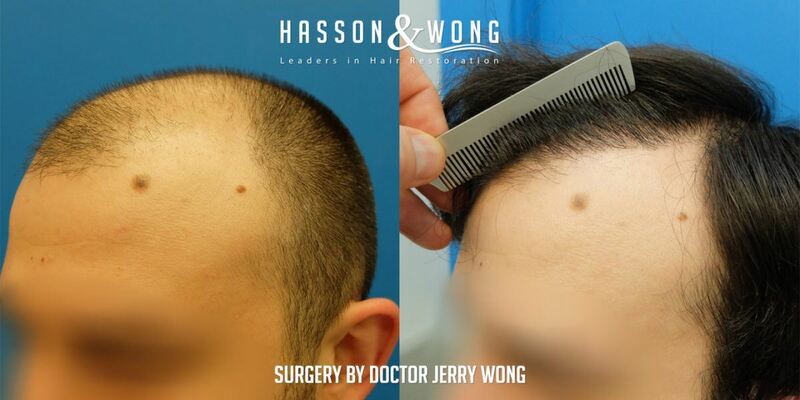 As you can see below, the result is remarkable considering that Dr. Wong had only used 4377 grafts on a Norwood class 6. 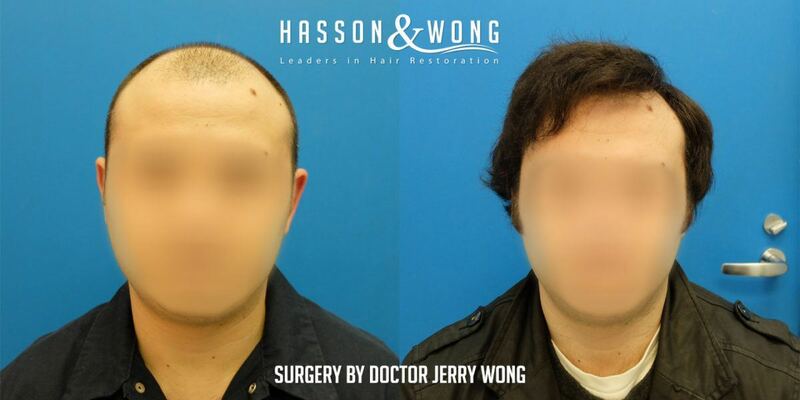 Hasson & Wong is a Top 3 hair clinic on HairSite. They are a sponsoring clinic on HairSite with over 10 years of interrupted patient records in our forum community. There are few that can rival this accomplishment. 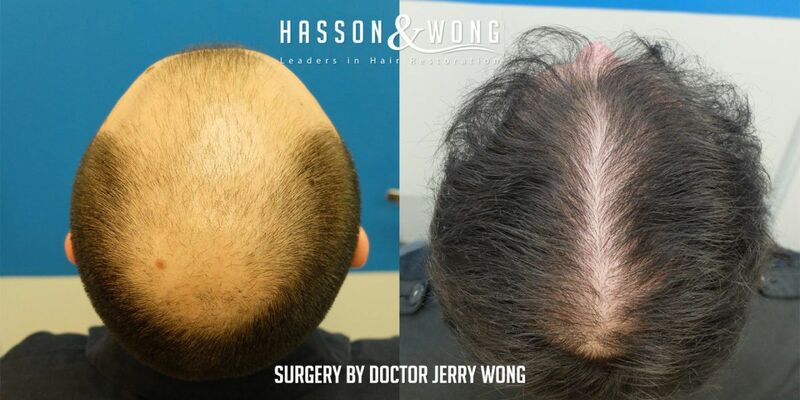 For more info about their work or to find out if you are a good candidate for hair transplant procedures, email info@hassonandwong.com. There are FREE no obligation consultations in cities throughout US, Canada and Europe. Congrats on this great result. The density is really impressive!